Can a positive attitude really help you achieve your dream? Stephanie Prestwich might be proof positive that it can! A Charter College graduate, Stephanie had always wanted to go to college but says that traditional lectures just weren’t her thing. She tried, but would find herself dozing off in classes even when she found the professor and the course interesting. Forget about those that were less than exciting. “I always wanted to go to college, but it never seemed the right time,” said Stephanie. Then she found herself in a tiny Alaskan town, “in the middle of nowhere.” Her husband was in the National Guard. She was a military wife with a small son at home in a community where employment opportunities for someone without a college degree were minimal. Charter College’s online program was perfect for her. Stephanie completed her Bachelor of Science Degree in Business in March of 2013. It gave her a great foundation for her current position as Finance Officer for the City of Delta Junction, and Stephanie says she’s still learning more every day. Among her many responsibilities are accounts payable/receivable, bank reconciliations, payroll, general accounting, grant reporting and fund accounting. She likes her job and especially all the responsibility she has. That doesn’t mean that Stephanie is fully settled. Even as she works and takes care of her family—she’s added a daughter since graduation—she’s planning for the next big thing. Stephanie is studying for her Certified Public Accountant exam. She’s heard that can be even tougher than the Bar exam attorneys take to practice law but she says she’ll pass. 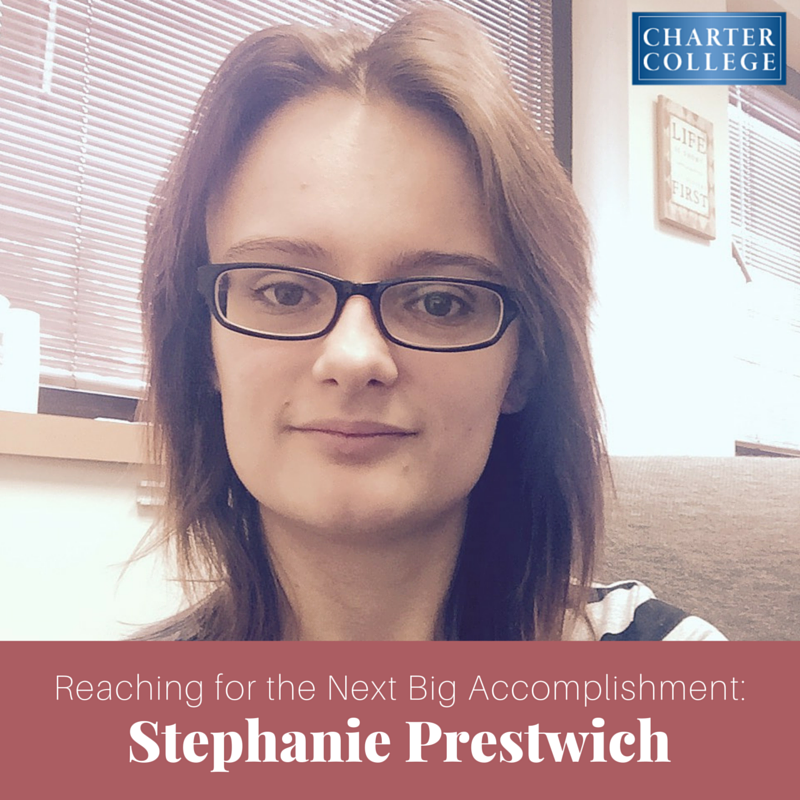 Stephanie found success through the online program at Charter College. Are you ready for some success of your own? We have career-focused programs in aviation, business, healthcare, hospitality, information technology, paralegal studies, veterinary assistant and some trades. And we offer online, on-campus and blended learning instruction. Choose the method that’s best for you and get started here.